Although they might not command attention, the little packets inside jerky packages are vital for the product, as they help jerky last longer on the shelf while controlling mold and bacteria in the package. These packets also can provide customers with peace of mind that the quality of the product is important with the investment in the packets in the packaging. David Marinac, president of ABC Packaging Direct, home of StandUpPouches.net in Avon, Ohio, says oxygen absorbers are used in plastic pouch bags (like those used for beef jerky) to prevent the growth of fungi and microorganisms which can make the jerky unfit to eat. This is achieved by keeping oxygen levels inside packaging close to zero. 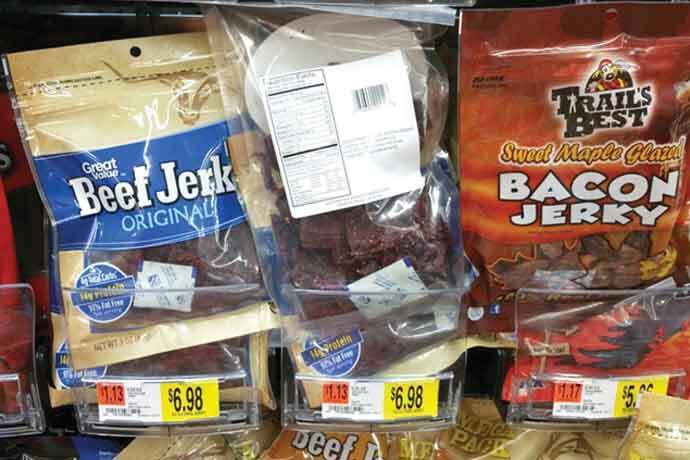 Andrew Tice, president of PackFreshUSA, Ontario, California, warns jerky should be packaged with an oxygen absorber, not a desiccant, and people often get the two confused, though they are very different. A desiccant buffers the moisture level while an oxygen absorber removes oxygen. 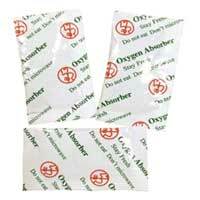 Therefore, it’s important to choose an oxygen absorber that is the right size for a package and choose packaging that can keep oxygen from returning the package over time. It doesn’t help much to remove the oxygen from your packaging if it can come right back in, so you also need a heat-sealed pouch made from a barrier film with a low oxygen-transmission rate. Tice explains an oxygen absorber is like a sponge, and you need one with enough capacity to absorb all the oxygen in your package. Essentially, oxygen absorbers are iron powder that “rusts” becoming iron oxide. They trap available oxygen from the environment, which leaves an oxygen-free atmosphere inside the packaging. They are not “air absorbers,” so although you may notice a decrease in the volume as the oxygen is absorbed, the rest of the “air,” mostly nitrogen, will remain. Dale R. Woerner, Cargill Endowed Professor in Sustainable Meat Science at Texas Tech Univ. in Lubbock, Texas, says despite the fact that there are advanced packaging technologies available, the industry has yet to find one with 100 percent efficacy that removes oxygen. When choosing this for jerky packaging, Marinac says basically one needs to consider how large the bag is vs. how much oxygen needs to be absorbed and how large of an amount of oxygen absorber should be used. (How many grams, bag dimensions and percentage of oxygen absorbed). The package material of the oxygen absorber is usually composed of a type of plastic film or non-woven coated material that is food safe. The raw materials used are traditionally: iron salts (iron oxide), yeast, palladium catalysts, sugar alcohol/glycols, sulfites and even boron. Depending on the type of food product and safety or oxygen absorption properties needed, a raw material is chosen based on speed, safety and best fit. In 1965, oxygen absorbers and scavengers were invented in Japan utilizing reduced iron salts. Later as this methodology expanded into Europe and the United States in the 1970s, the technology improved along with new methods and raw material types. The concept of using oxygen absorbers in jerky packages was first commercialized in the late 1970s. Since then, they have been widely used in Asia, but it wasn’t until the 1990s that they started to be used in the US. Within the past decade, oxygen absorber use has increased dramatically. Virtually all jerky companies have switched over to oxygen absorbers due to their superior effectiveness, affordability and ease of use. The technology works today by using a breathable packaging material and inserting the oxygen absorber during the packaging process after several tests are conducted given customer requirements and packing dimensions. Oxygen absorbers can greatly increase the storage time and preserve freshness of many products such as jerky, without the use of chemicals or additives. In addition to being more effective than other methods, they are also very easy to use in both high-volume packaging or a home kitchen. Automated dispensers are available for production lines, but a one-person cottage food operation can also easily do their own packaging with no special equipment other than a hand-operated impulse sealer to heat-seal the pouches. Although oxygen absorbers are gaining popularity for preserving many food products, virtually all jerky companies have switched over to oxygen absorbers due to their superior effectiveness, affordability and ease of use.